Removed the last post due to some copyrights issues. Here goes the post I wrote for Indian Holiday. India with its stark splendor has left many foreign travelers spell-bound. People in this country not only have embraced diverse culture but have a rush of enthusiasm in their veins for every other cultural celebration as well. This brotherhood has led to an adamant integrity amongst its citizens. No matter when you land here, there is a myriad of festivals all year round. In this post further, we will tell you about the most popular winter festivals in India which would make you want to pack your bags immediately. 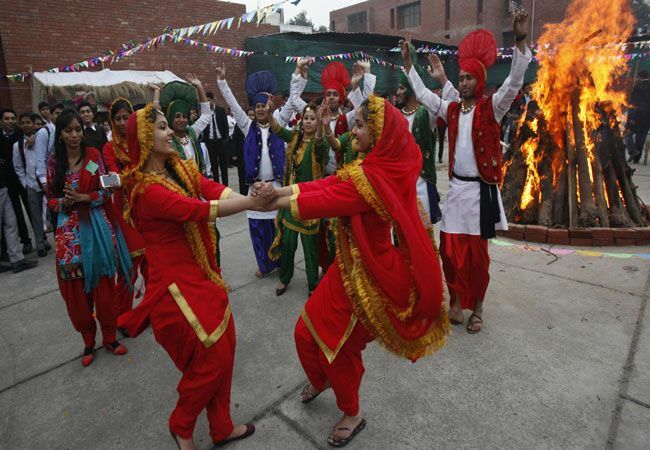 With the start of New Year, Punjab sparks exuberance to the country with its most important and effervescent festival, Lohri. People frolic around the bon-fire; perform Bhangra and Gidda, dressed in adorable costumes, to the vibrant Punjabi folk music. Every year in 13th January, the nights are observed to be the longest and this day Punjab celebrates Lohri in the name of good harvest which holds great significance in their culture. People share sweets with each other and whole community gathers in the evening to celebrate. Falling in the month of January, Pongal is celebrated for four days specifically in Tamil Nadu, Puduchery and Sri Lanka; marking the end of harvest season. Pongal in Tamil dialect means “overflowing” and so this day people pray for enormous prosperity. The first day is for the lord of fire; the second day is for the Son God, third for the cattle and fourth is for the birds. Having strong connections to the time of Puranas and Indo-Aryan era, Pongal holds major significance in India. Previous Post Best Places to Visit in Karnataka. Reblogged this on UnBounded Universe.